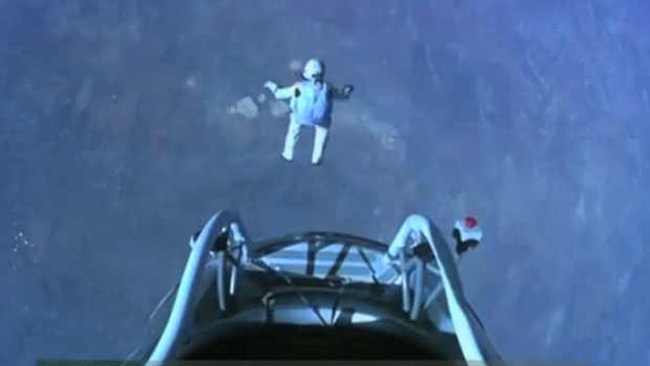 Austrian born skydiver, Felix, has broken sound barrier in record space jump. At his top speed of free fall, he hit speeds of over 900km an hour. He opened his parachute and landed on his feet in New Mexico, USA. Who say’s the sky is the limit? There’s a famous quote that states, ‘Who say’s the sky is the limit, when there are footprints on the moon?’ Too few of us imagine life beyond our wildest dreams. We get sucked into a consumer vortex and become content to be anesthetized by the next purchase of a fashion item, car, concert or holiday experience. But the truth is, life is so much more than our next consumption. I believe God wants us to live fully alive and to completely embrace our humanity as image bearers of God. Too many of us cap our imagination to fit within the confines of our peer group and cultural expectations. I’m challenging you to give yourself permission to think differently about your life and think more like God. I don’t know whether Felix is a believer in Christ or not but he has helped us all dream a little bigger and raise the bar higher for what is possible in our own lives, let alone through the abundant power of Jesus Christ. Where have you placed the limits in your own life and ministry? Have you padded your life with such comfort and convenience that there is no miracle margin left in your world? Time to get a life and live full alive. The sky is not the limit! ← Don’t Trust in Plastic Promises!